Slot machines that will take you to a market and show you chili peppers, garlic and other greens will not usually be considered impressive, but pair that look with a unique gameplay and you might just love the end result. Bonanza 2 Extra Chilli is the second game in a series that started out wildly successful, so now we have another one to try out. The theme is inspired by chili peppers obviously, and the developer places them on the reels in red, green and blue variants, and also looking like they’re made out of crystals with metallic inserts at the ends. These are the main symbols that you get inside, the rest of the positions getting playing cards mostly. In terms of design quality, I’m not usually a big fan of the Big Time Gaming titles, and Extra Chilli is no different. They do an alright job with their games, but the attraction is always on the gameplay, never on the design. Big Time Gaming exploded in recent years, thanks to the release of games like Bonanza. Their math models are excellent, and players tend to love their high variance titles, among which you will find the ones from the Bonanza series as well. Other unusual games of theirs, which you might like, include White Rabbit and Dragon Born. The Stake option, in the bottom left area, is the only one you have to use when you’re setting up a bet. You can start from the minimum of $0.20 and take it to as much as $40. The full amount of the bet is used to decide the winnings, not a line bet. The game is playable through a system that relies on ways to win, but thanks to the way they implemented them they’re calling these Megaways. You have 2 to 7 symbols on each reel, a number that is decided at random, and based on that you get anywhere from 64 to 117,649 Megaways. It’s a 6 reel game as well, so it all adds up. Besides the 6 reels that you have in the main game area, the slot will also use an extra horizontal one that has positions underneath the middle four reels. Whenever you have a winning combination form, a Reaction will trigger, where the existing wins are replaced with others which come from above. You might get a new win this way, in addition to the initial one, and you don’t have to pay extra for it. The scatters which have the letters of the word HOT are used to activate 8 free spins, when they’re all present. Every extra scatter after that will give you an additional 4 free spins. Inside, you get some of the biggest prizes that the game can deliver, and it’s through multipliers that this is achieved. Each reaction that triggers as part of the same initial spin will add to the multiplier an additional 1x for the next reaction. Wilds with images of Firework Rockets will be the substitutes that you can use in the formation of new combinations. They are not replacements for scatters. Feature Drop is an option that can be bought, though at a considerable cost of 50x the stake of that round. It will trigger the free spins feature for you. The price can be reduced with the help of BTG coins that you land on the reels. With wins of up to 50x the stake advertised, or up to $2,000, it might not sound like a high variance title to some, but you must look at the features it offers. First, you get the megaways, which can deliver an impressive number of wins in a single round. 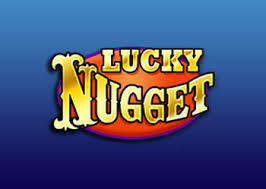 Second, there are multipliers for the reactions, during free spins, and those can bring on some incredible payouts. It’s a fun game, a high-variance title that is appreciated by a lot of players for the win potential that it offers.